Francisco Pizarro González (/pɪˈzɑːroʊ/; Spanish: [piˈθaro]; circa 1471 or 1476 – 26 June 1541) was a Spanish conquistador who led an expedition that conquered the Inca Empire. He captured and killed Incan emperor Atahualpa and claimed the lands for Spain. Francisco Pizarro was born in Trujillo, Spain (then in the Crown of Castile) in modern-day Extremadura, Spain. He was the illegitimate son of infantry colonel Gonzalo Pizarro (1446–1522) and Francisca González, a woman of poor means. His date of birth is uncertain, but it is believed to be sometime in the 1470s, probably 1474. Little attention was paid to his education and he grew up illiterate. His father was a colonel of infantry who served in Navarre and in the Italian campaigns under Córdoba. His mother married late in life and had a son Francisco Martín de Alcántara, who was at the conquest of Peru with his half-brother from its inception. Through his father, Francisco was a second cousin, once removed, of Hernán Cortés. On 10 November 1509, Pizarro sailed from Spain to the New World with Alonso de Ojeda on an expedition to Gulf of Urabá in Tierra Firme. Pizarro became a participant in Ojeda's failed colony, commanding the remnants until he abandoned it with the survivors. :93 He sailed to Cartagena and joined the fleet of Martín Fernández de Enciso in 1513. 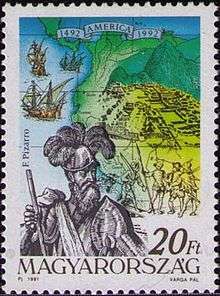 In 1513, Pizarro accompanied Vasco Núñez de Balboa in his crossing of the Isthmus of Panama to the Pacific coast. The following year, Pedrarias Dávila became the newly appointed governor of Castilla de Oro and succeeded Balboa. During the next five years, Pizarro became a close associate of Dávila and the governor assigned him a repartimiento of natives and cattle. :93 When Dávila decided to get rid of Balboa out of distrust, he instructed Pizarro to personally arrest him and bring him to stand trial. Balboa was beheaded in January 1519. For his loyalty to Dávila, Pizarro was rewarded with the positions of mayor (Alcalde) and magistrate of the then recently founded Panama City from 1519 to 1523. On 10 November 1509, Pizarro sailed from Spain to the New World with Alonzo de Ojeda on an expedition to Urabí. He sailed to Cartagena and joined the fleet of Martín Fernández de Enciso and, in 1513, accompanied Balboa to the Pacific. In 1514, he found a supporter in Pedrarias Dávila, the Governor of Castilla de Oro and was rewarded for his role in the arrest of Balboa with the positions of mayor and magistrate in Panama City, serving from 1519 to 1523. 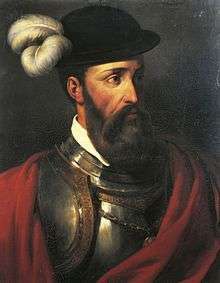 The first attempt to explore western South America was undertaken in 1522 by Pascual de Andagoya. The native South Americans he encountered told him about a gold-rich territory called Virú, which was on a river called Pirú (later corrupted to Perú). :24 These reports were related by the Spanish-Inca mestizo writer Garcilaso de la Vega in Comentarios Reales de los Incas (1609). 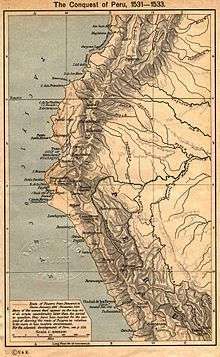 By April 1528, they finally reached the northwestern Peruvian Tumbes Region. Tumbes became the first success the Spanish had so long desired. They were received with a warm welcome of hospitality and provisions from the Tumpis, the local inhabitants. On subsequent days two of Pizarro's men, Alonso de Molina and Pedro de Candia, reconnoitered the territory and both, on separate accounts, reported back the riches of the land, including the decorations of silver and gold around the chief's residence and the hospitable attentions with which they were received by everyone. The Spanish also saw for the first time the Peruvian llama,:26 which Pizarro called "little camels". 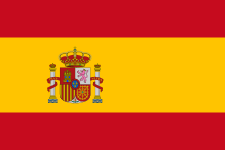 The natives began calling the Spanish the "Children of the Sun" due to their fair complexions and brilliant armor. Pizarro, meanwhile, continued receiving the same accounts of a powerful monarch who ruled over the land they were exploring. These events served as evidence to convince the expedition that the wealth and power displayed at Tumbes were an example of the riches of the Peruvian territory. The conquistadors decided to return to Panama to prepare the final expedition of conquest with more recruits and provisions. Before leaving, however, Pizarro and his followers sailed south along the coast to see if anything of interest could be found. Historian William H. Prescott recounts that after passing through territories they named such as Cabo Blanco, port of Payta, Sechura, Punta de Aguja, Santa Cruz and Trujillo (founded by Almagro years later), they finally reached for the first time the ninth degree of the southern latitude in South America. Despite fulfilling his promise of filling one room (22 by 17 feet or 7 by 5 metres) with gold and two with silver, Atahualpa was convicted of 12 charges, including killing his brother and plotting against Pizarro and his forces. He was executed by garrote on 29 August 1533. Francisco Pizarro and de Soto were opposed to Atahualpa's execution, but Francisco consented to the trial due to the "great agitation among the soldiers", particularly by Almagro. De Soto was on a reconnaissance mission the day of the trial and execution and upon his return expressed his dismay, stating, "he should have been taken to Castile and judged by the emperor. ":202–204,206 King Charles later wrote to Pizarro: "We have been displeased by the death of Atahualpa, since he was a monarch and particularly as it was done in the name of justice." Pizarro advanced with his army of 500 Spaniards toward Cuzco, accompanied by Chalcuchimac, before he was burned at the stake. Manco Inca Yupanqui joined Pizarro after the death of Túpac Huallpa. :191,210,216 During the exploration of Cuzco, Pizarro was impressed and through his officers wrote back to King Charles I of Spain, saying: "This city is the greatest and the finest ever seen in this country or anywhere in the Indies... We can assure your Majesty that it is so beautiful and has such fine buildings that it would be remarkable even in Spain." After the final effort of the Inca to recover Cuzco had been defeated by Almagro, a dispute occurred between Pizarro and Almagro respecting the limits of their jurisdiction, as both claimed the city of Cuzco. The king of Spain had awarded the Governorate of New Toledo to Almagro and the Governorate of New Castile to Pizarro. The dispute had originated from a disagreement on how to interpret the limit between the governorates. :254–256 This led to confrontations between the Pizarro brothers and Almagro, who was eventually defeated during the Battle of Las Salinas (1538) and executed. Almagro's son, also named Diego and known as El Mozo, was later stripped of his lands and left bankrupt by Pizarro. In Lima, on 26 June 1541 "a group of 20 heavily armed supporters of Diego de Almagro "el mozo" stormed Pizarro's palace, assassinating him and then forced the terrified city council to appoint young Almagro as the new governor of Peru", according to Burkholder and Johnson. "Most of Pizarro's guests fled, but a few fought the intruders, numbered variously between seven and 25. While Pizarro struggled to buckle on his breastplate, his defenders, including his half-brother Martin de Alcántara, were killed". :143 For his part, Pizarro killed two attackers and ran through a third. While trying to pull out his sword, he was stabbed in the throat, then fell to the floor where he was stabbed many times." Pizarro (who now was maybe as old as 70 years and at least 62), collapsed on the floor, alone, painted a cross in his own blood and cried for Jesus Christ. He died moments after. Diego de Almagro the younger was caught and executed the following year after losing the battle of Chupas. Pizarro's remains were briefly interred in the cathedral courtyard; at some later time, his head and body were separated and buried in separate boxes underneath the floor of the cathedral. In 1892, in preparation for the anniversary of Columbus' discovery of the Americas, a body believed to be that of Pizarro was exhumed and put on display in a glass coffin. However, in 1977, men working on the cathedral's foundation discovered a lead box in a sealed niche, which bore the inscription "Here is the head of Don Francisco Pizarro Demarkes, Don Francisco Pizarro who discovered Peru and presented it to the crown of Castile." A team of forensic scientists from the United States, led by Dr. William Maples, was invited to examine the two bodies and they soon determined that the body which had been honored in the glass case for nearly a century had been incorrectly identified. The skull within the lead box not only bore the marks of multiple sword blows, but the features bore a remarkable resemblance to portraits made of the man in life. By his marriage to N de Trujillo, Pizarro had a son also named Francisco, who married his relative Inés Pizarro, without issue. After Pizarro's death, Inés Yupanqui, whom he took as a mistress, favourite sister of Atahualpa, who had been given to Francisco in marriage by her brother, married a Spanish cavalier named Ampuero and left for Spain, taking her daughter who would later be legitimized by imperial decree. Francisca Pizarro Yupanqui eventually married her uncle Hernando Pizarro in Spain, on 10 October 1537; a third son of Pizarro who was never legitimized, Francisco, by Dona Angelina, a wife of Atahualpa that he had taken as a mistress, died shortly after reaching Spain. Pizarro is well known in Peru as the leader of the Spanish conquest. Peruvians — including, but not limited to, many of mainly indigenous descent — regard him negatively. After his invasion, Pizarro destroyed the Inca state and while ruling the area for almost a decade, initiated the decline of local cultures. The Incas’ polytheistic religion was replaced by Christianity and much of the local population was reduced to serfdom under Spanish elites. The cities of the Inca Empire were transformed into Spanish, Catholic cities. Pizarro is also reviled for ordering Atahualpa's death despite the ransom payment (which Pizarro kept, after paying the Spanish king his due). Until relatively recently, Pizarro was portrayed positively — in textbooks, for instance — for imposing Catholicism and creating a privileged class of mainly Spanish descent. In the early 1930s, sculptor Ramsey MacDonald created three copies of an anonymous European foot soldier resembling a conquistador with a helmet, wielding a sword and riding a horse. The first copy was offered to Mexico to represent Cortés, though it was rejected. The statue was taken to Lima in 1934 and repurposed to represent Pizarro. One other copy of the statue resides in Wisconsin. 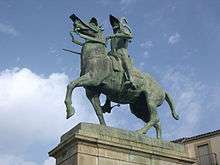 The mounted statue of Pizarro in the Plaza Mayor in Trujillo, Spain, was created by American sculptor Charles Rumsey. It was presented to the city by his widow in 1926. In 2003, after years of lobbying by indigenous and mixed-raced majority requesting for the equestrian statue of Pizarro to be removed, the mayor of Lima, Luis Castañeda Lossio, approved the transfer of the statue to another location: an adjacent square to the country's Government Palace. Since 2004, however, Pizarro's statue has been placed in a rehabilitated park surrounded by the recently restored 17th-century walls in the Rímac District. The statue faces the Rímac River and the Government Palace. After their return from Peru and notoriously rich, the Pizarro family erected a plateresque-style palace on the corner of the Plaza Mayor in Trujillo. Francisca Pizarro Yupanqui and her uncle/husband Hernando Pizarro ordered the building of the palace; it features busts of them and others. It instantly became a recognizable symbol of the plaza. Pizarro is the title and subject of a dramatic tragedy by Richard Brinsley Sheridan, presented in 1799. Sheridan based his work on the German tragedy by August von Kotzebue, Die Spanier in Peru. Francisco Pizarro is depicted as a villain in the 1980s animated series The Mysterious Cities of Gold. In it, Pizarro is a ruthless conqueror of the Incas who values gold above all else. Ron Pardo portrays Francisco Pizarro in an episode of History Bites as a parody of Star Trek's James T. Kirk. Francisco Pizarro is the main character in Peter Schaffer's play The Royal Hunt of the Sun. Pizarro is a character in the novel Inés of My Soul (Inés del alma mía) by Isabel Allende. In Jared Diamond's Pulitzer Prize-winning book, Guns, Germs and Steel, the Battle of Cajamarca is used to introduce Diamond's theory: Eurasian hegemony stemmed from environmental factors alone. Francisco Pizarro (played as a vampire by Venezuelan actor and singer José Luis Rodríguez) is the main villain in Mega TV miniseries Gabriel. Pizarro is presented there in modern days as "the first Latin-American vampire". In the book Evil Star from the Power of Five series by Anthony Horowitz, a historian claims a monk traveled with Pizarro to Peru and discovered an alternate creation story recorded by the Incas. Analog Science Fiction and Fact, in Anthology 4, "Analog's Lighter Side", featured a story by Randall Garrett from Astounding Science Fiction March 1959, "Despoilers of the Golden Empire", which recast the conquest of Peru in the language of a sci-fi story, while staying true to history. The story is also available at Project Gutenberg. Bruce Ramsay portrayed Pizarro in 2010's Riverworld. Pizarro is mentioned in Assassin's Creed II in the glyphs, where he was killed by the Assassins instead. Pizarro, Francisco. "Cartas del Marqués Don Francisco Pizarro (1533-1541)". www.bloknot.info (A. Skromnitsky). Retrieved 10 October 2009. Pizarro, Francisco. 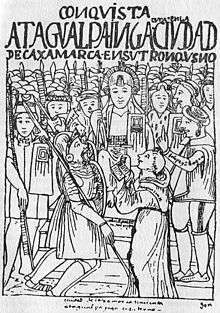 "Cédula de encomienda de Francisco Pizarro a Diego Maldonado, Cuzco, 15 de abril de 1539". www.bloknot.info (A. Skromnitsky, in Russian). Retrieved 10 October 2009. ↑ "Exploring the Inca Heartland: Pizarro's Family and His Head", Archaeology, Archaeological Institute of America. 1 September 1999. ↑ The New Cambridge Bibliography of English Literature: Volume 2; Volumes 1660-1800. Books.google.co.uk. 30 July 1971. ISBN 978-0-521-07934-1. Retrieved 20 April 2011. ↑ "The Pizarro Brothers". LatinAmerican History. Retrieved 10 March 2015. Crivelli, Camillus (1913). "Francisco Pizarro". Catholic Encyclopedia. "Pizarro". The American Cyclopædia. 1879.